During the 13th Five-Year Plan (2016-20) period, it is estimated that the country’s healthcare market will reach 15 trillion yuan ($2.35 trillion) to 16 trillion yuan, with synergetic development playing a crucial role in the industry, an expert said during a recent seminar. In the coming two to three years, China’s healthcare sector will probably evolve into a pillar industry of national economic and social development, contributing greatly to GDP growth. Jiang Jiang, associate research fellow with the Institute of Industrial and Technological Economics at the Chinese Academy of Macroeconomic Research, said during the sub-forum of the 11th China Bioindustry Convention in Wuhan, Hubei province. “The development of industrial agglomeration in China has achieved initial results, and will become a long-term model. Coordinated and shared development is the key. Based on local conditions, we must focus on this model of development, to promote the healthy development of biomedical industrial parks,” she said. To achieve coordinated development, Jiang suggested that rather than merely referring to GDP, domestic industrial parks should apply third-party statistics in their assessments, such as the number of medical enterprises, patents and products, and the amount of equipment and expertise in subdivisions. “Based on detailed data, industrial parks are guided on how to adjust their layouts based on local conditions. For instance, manufacturers of some specially packaged preparations, as well as of raw materials with stricter storage conditions, should be concentrated near the consumer market, while those knowledge-intensive companies, including contract research organizations, are more suitable for agglomeration where talented people, technology, and funding are available,” Jiang noted. “For the development of the healthcare sector, data analysis is the key. Big data sets up a collaborative network for small groups alongside the industrial chain to achieve coordinated development,” said Yang Hongfei, founder and CEO of Firestone Inventing, the company that built the first medical and healthcare industrial data service platform to accelerate industrial digitalization in the medical field. “Digitalization is the basis for synergetic development of the biomedical industry. The network links biomedical enterprises, financial institutions, the government, and the whole industrial park,” Yang said. 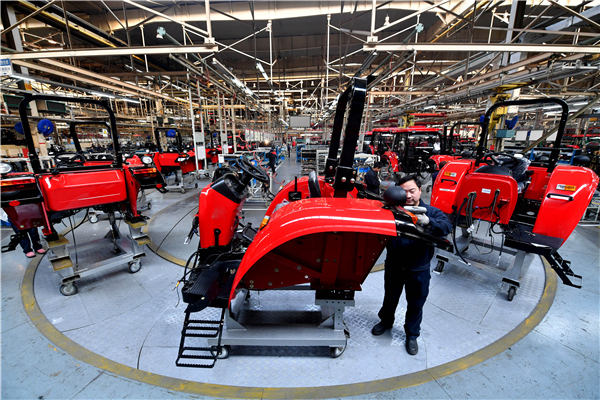 Currently, many advanced industrial parks in China, such as Zhongguancun Life Science Park in Beijing, Chengdu Hi-Tech Industrial Development Zone and Fenglin Bio-Park in Shanghai, have already applied Firestone’s digital map as a guidance for their layouts. Cooperation with Nanjing Biotech and Pharmaceutical Valley and Shanghai Zhangjiang Hi-Tech Park is under discussion. “All industrial parks in China should consider their own model of development, to realize dislocation development and coordinated development,” Wang said. With third-party statistics, such as the digital map offered by Firestone, talented people in the medical field know which industrial park suits them best, while industrial parks also establish more connections with field experts worldwide. According to Yang from Firestone, the company’s digital map now encompasses a talent pool of 100,000 people in the medical field, covering experts from innovative companies, industrial giants and major financial institutions. “Currently, the nation’s industrial parks put more emphasis on providing services, to integrate resources and offer support to enterprises, saving them time and effort, making technology undertake trivial work,” Yang said.